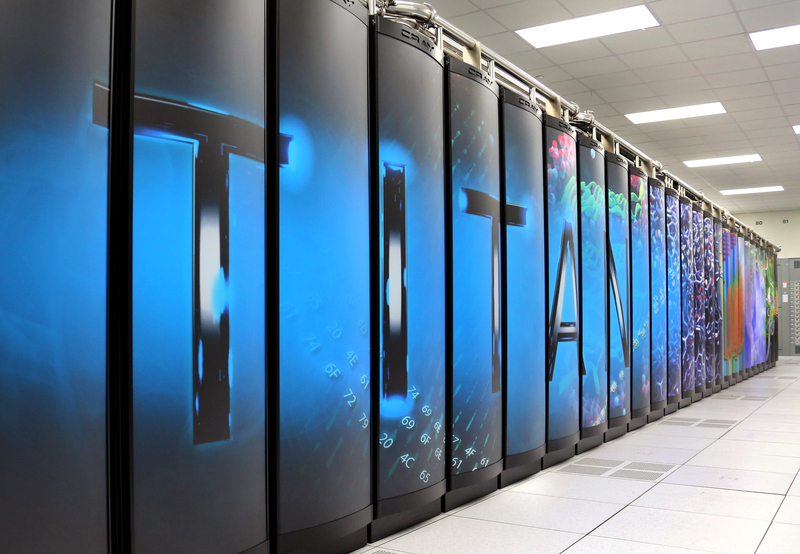 Scientists will use ORNL’s computing resources such as the Titan supercomputer to develop deep learning solutions for data analysis. Credit: Jason Richards/Oak Ridge National Laboratory, U.S. Dept. of Energy. August 25, 2017 – A team of researchers from Oak Ridge National Laboratory has been awarded nearly $2 million over three years from the Department of Energy to explore the potential of machine learning in revolutionizing scientific data analysis. For example, neutron scattering data collected at ORNL’s Spallation Neutron Source contain rich scientific information about structure and dynamics of materials under investigation, and deep learning could help researchers better understand the link between experimental data and materials properties. “This understanding can help scientists build and support new scientific theories, and help to design better materials,” Potok said. The project is supported by DOE’s Office of Science. The Spallation Neutron Source and the Oak Ridge Leadership Computing Facility are DOE Office of Science User Facilities.